snake looks great i cant wait to play the new Metal Gear game. Snake!? Are you there snake!= Answer me Snake!!! SNAKE!= SNAAAAAAAAAAAAAAAAAAAAAAAAKE!!! 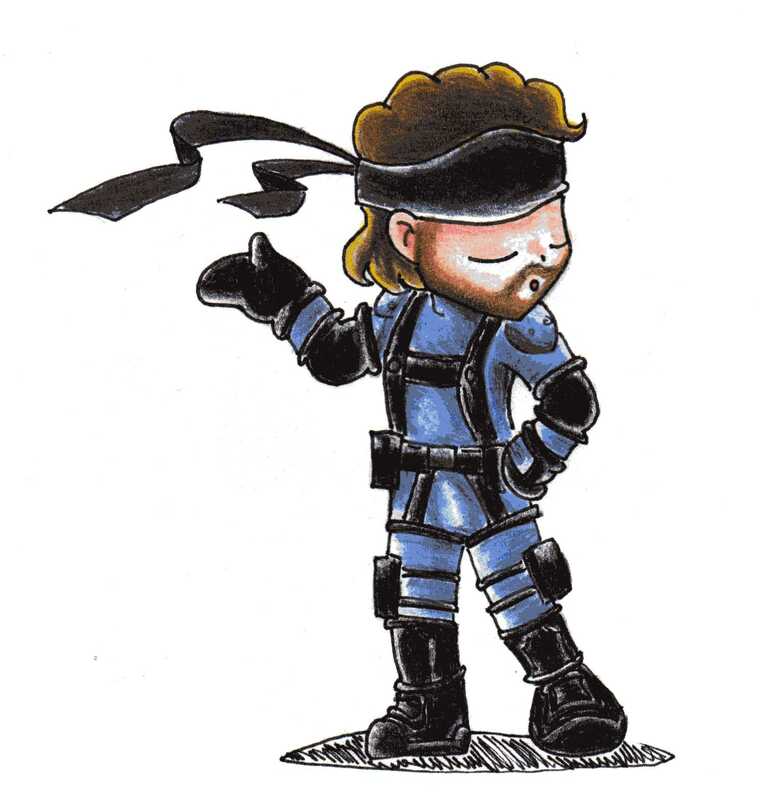 You drew chibi Snake so increadibly CUTE!!! The colouring is great! Nice job! I'm faving this! I love the pose on him. He looks so adorable chibi style. Lol, totally cute! It looks like he's blowing a kiss (IMO). XD Even though that'd probably OOC for Snake. Yay very cool!! You did it veeeery well!! !